Every smoker thinks about quitting at least once. Stop thinking about it and actually take action! This blog is designed to assist in the journey to a healthier you. Choosing to quit smoking will improve your health significantly. Photo: B-D-S, Bigstock. Smoking is a terribly hard habit to give up. It truly is an addiction and your body is going to fight you when you first attempt to break your normal routine. To help you get through this tough time we’ve compiled a list of the 5 best tips to help you give up smoking. Finding a strong, personal reason to give up smoking will help you when you feel yourself reaching for a smoke. This reason will be your mojo to keep fighting until you finally succeed in breaking those impulses. Giving up smoking might not happen on your first, second or third go but having a reason to give up will help you to keep trying again and again. This motivation is what will get you to finally succeed, whether is it for your own health, the health of a family member, because you are sick of being tied down to cravings or because of the cost of smoking, whatever your drive is, it has to be a reason that will motivate you too keep going until you quit for good. Organise yourself: failure to plan, is planning to fail! One of the best tips to help you quit smoking is to prepare yourself before you do. This planning will more than likely be your make or break. Quitting smoking is never easy but planning and organising a strategy for yourself will make a huge difference. 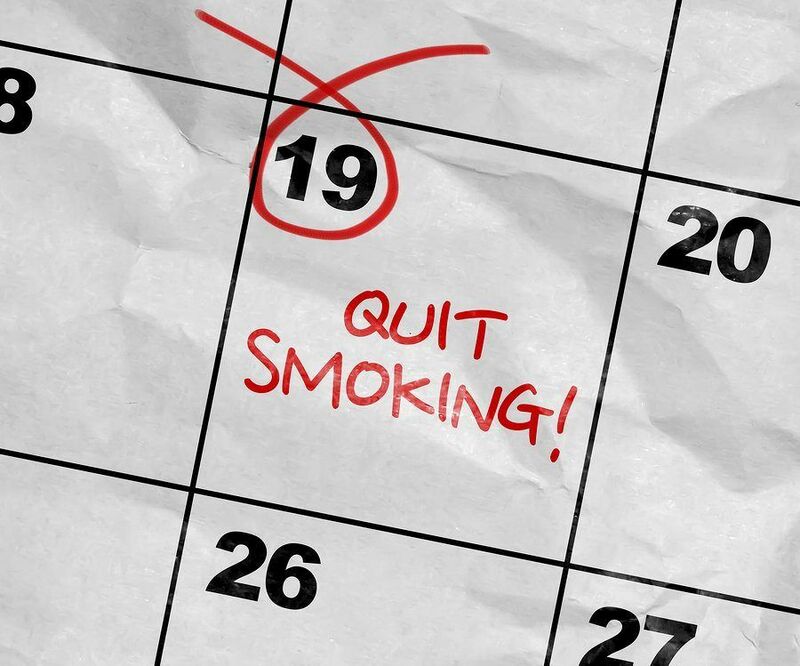 It’s important to plan and commit to quitting smoking. Photo: Gustavo Frazao, Bigstock. Plan what you are going to do when you want a smoke, plan strategies to cope with the cravings, plan your actions when you are out and someone is smoking, if you have strategies in place you have a much better chance of succeeding. Your ultimate goal is to quit smoking so you have to prepare, plan and have tactics to accomplish this goal. It is not going to be easy but good preparation will make it just a little bit easier to cope. 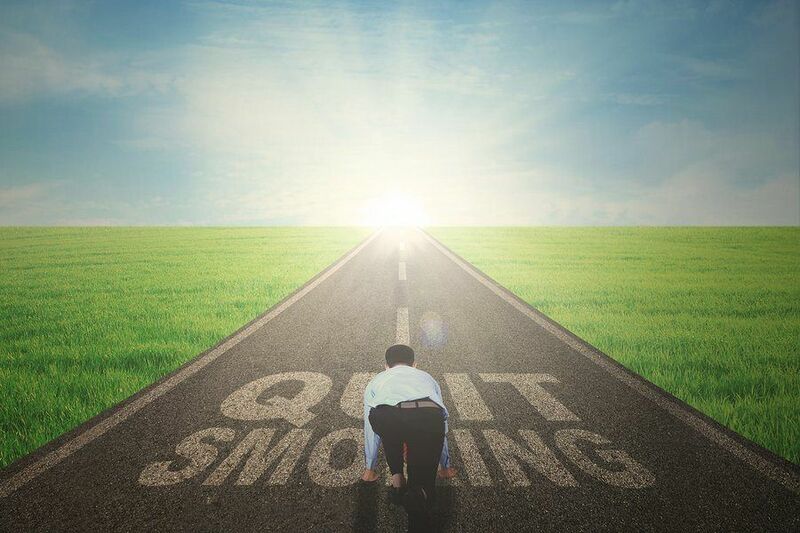 There are many ways that can help you quit smoking, you can opt to do it by yourself whether gradually or all at once, you can try nicotine replacement therapy, prescription pills and talk to health care providers and the smoking quit line. The most important thing to remember is that there are many different approaches you can take so if one method isn’t working you can try another. If you have tried to quit cold turkey and found that you were unsuccessful, you can instead try to cut down weekly or daily until you get to a stage where you feel you can go “cold turkey” and triumph (even if it takes you to get down to one smoke a day before you do). If you find quitting smoking on your own hard there is a lot of help out there to help you quit. Visit your doctor or call the quit line and ask their advice. You and you alone are the one that has to decide you want to quit and find the best way for yourself to accomplish quitting. Remember, what works for one person may not work for you. You must plan and identify the strategies that will work for you. There are many options available to you today to quit smoking so keep changing them up until you find what works for you and stick to it. Another great trick to help you to quit smoking is to ask people to help you. Whether it is your partner, your family, your friends, your next door neighbour or your yoga group, letting someone else know about your goal makes you accountable. They will continue to remind you asking how you are going with your journey and supporting you when you need it. Having someone available to talk to when it all gets too overwhelming or you need distracting from your cravings can be a massive advantage in your battle. These people will all want you to give up and be willing to help and support you through this tough time. It can sometimes come down to that one person saying, “you can do this” or “you’re doing great” that is the difference between continuing or giving up. You may be a lucky one and succeed at your first attempt to break your habit but more than likely giving up smoking will take a few attempts. Smoking is an addiction; it takes time and a great deal of effort, planning and preparation to give up. If you are going to be able to quit smoking you are going to need support, strategies and determination, the willpower to keep going when you’ve had enough. The most important tip when you are trying to quit smoking is never giving up. Continue trying if you do not manage to quit and remember, “if you don’t succeed the first time try, try again”. You will quit smoking if you just keep at it and never give up trying to give up! Giving up smoking is not going to be easy. Find that motivation, that reason which will keep you determined to achieve your goal. Write it down, make signs and place them around your home, whatever it takes to keep you on the right path. The journey to quit smoking is challenging, but rewarding. Photo: Creativa Images, Bigstock. If you decide to go it alone, remember to prepare, plan and have strategies organised. 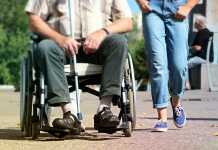 Consider your options and find ones that suit you, that are available and cater to your needs to quit. Make sure the people you’re going to lean on are aware and able to help you give up, ask them to help and let them know what you expect of them. Most of all never give up trying, you will accomplish your goal of quitting smoking if you keep trying not give up until you break the addiction!